Fall is approaching and the kids are back in school…which means that Sharon McRorie and Erin Shope of the Museum’s education department are hosting Storytime & Art programs again at community libraries after a summer break. 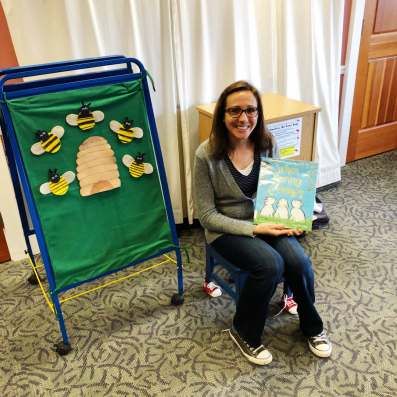 These popular programs are for preschool and school-age students who can enjoy stories and songs, then make a hands-on art project designed just for the little ones. 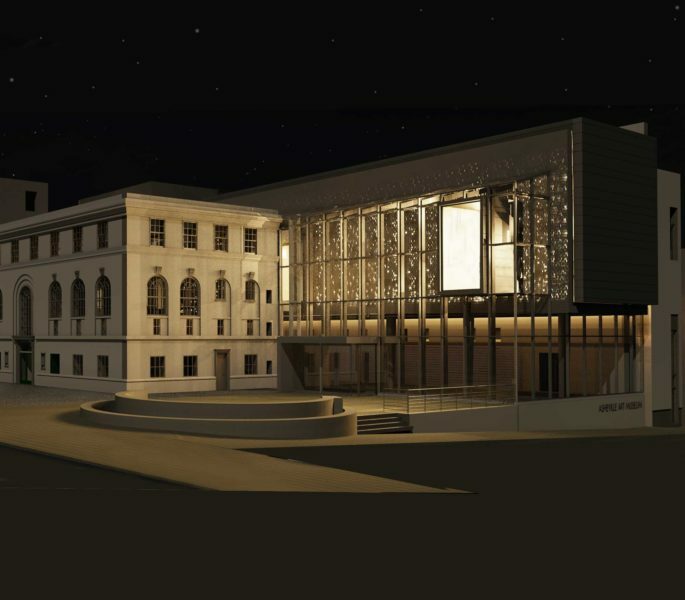 While under construction to build its new facility, the Asheville Art Museum has had the opportunity to reach out further into the community, working with community partners at their locations. The Storytime & Art program has proven to be a great example of how successful that effort has been. 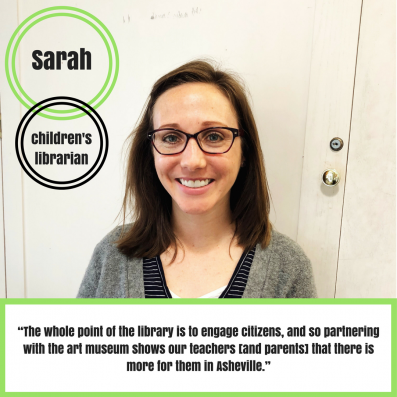 Partnerships help fill needs for all involved as they arise: the Asheville Art Museum was seeking a location to host programming and reach new audiences, and libraries are continually seeking new approaches to learning that they can include in their storytime programs.